Microsoft has just released the download links for Internet Explorer 9 RC (Release Candidate). The download links are available for both 32bit and 64bit versions of Windows 7 and Windows Vista. The new version of Internet Explorer 9 is released with many new features however the main feature is the addition of Tracking Protection. This new feature allows users to identify and block many forms of undesired tracking such as cookies, web beacons, advertisements and trackers. Tracking protection involves lists that can be published online. Microsoft has also added the ability to block ActiveX controls. Users can switch off ActiveX elements within their session using the ActiveX filter available in Internet Explorer 9 RC. 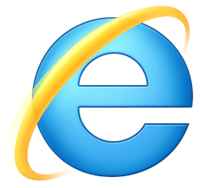 The final version of Internet Explorer 9 is expected to release in April. This sounds pretty good. I will certainly try out IE9 although my favorite browser is still Firefox. How about you? Do you like IE9 RC?